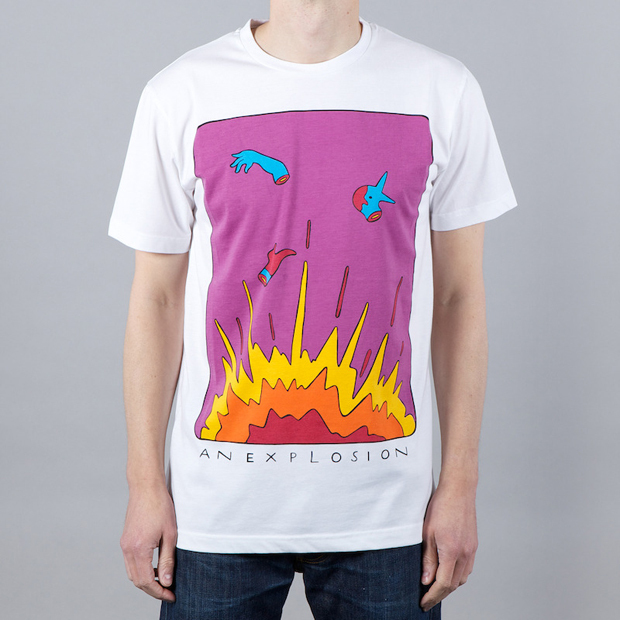 Amsterdam based Parra has become known for his own, individual style of type and illustration. 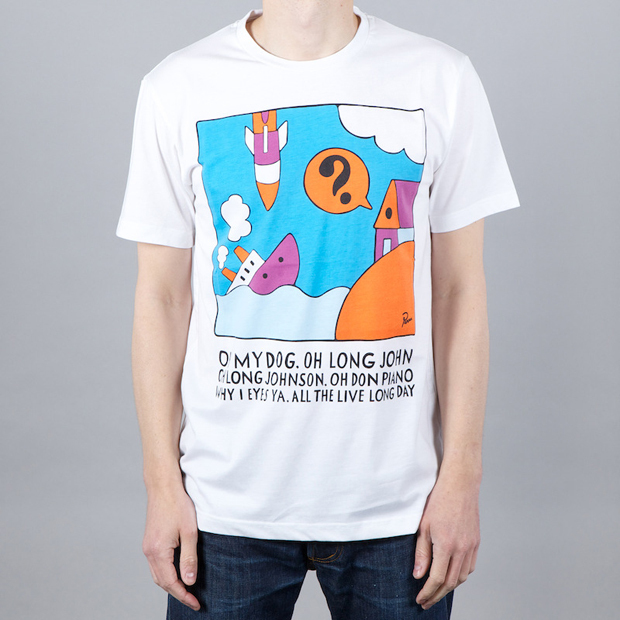 He brings his art to clothing, using T-shirts as his canvas in a new collection from his Rockwell clothing brand titled ‘Oh Don Piano’. 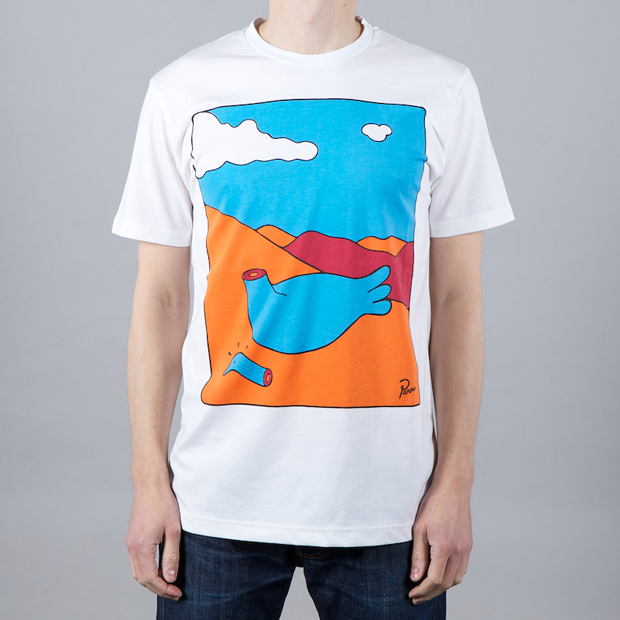 Parra’s distinctive colourful illustrations can be found on a number of white T-shirts, and most often housed within a black box, which relate quite nicely to the posters which helped him rise to fame in the earlier part of the 00’s. 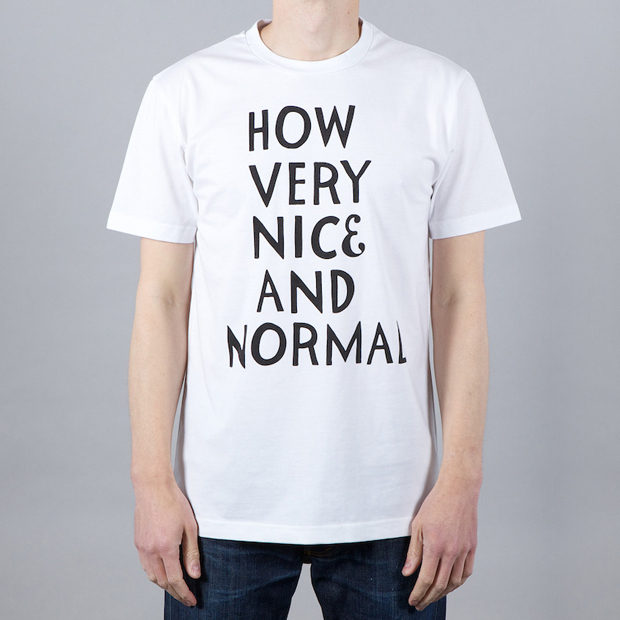 The ‘Normal’ tee see’s Parra play with his type skills in a simplistic black/white combination. 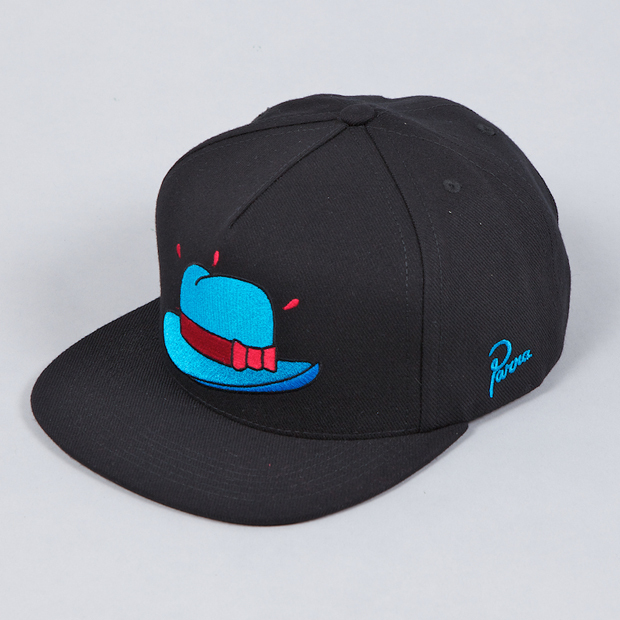 This collection also includes two snapback caps, featuring an illustration of a hat (why not?) 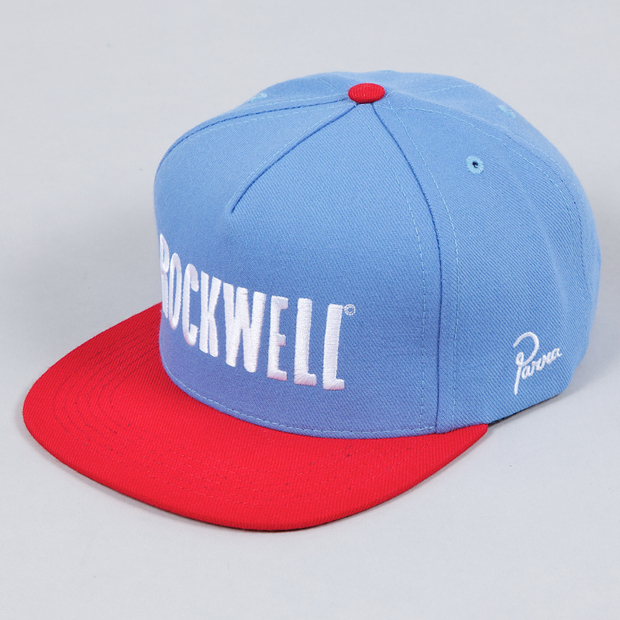 and the Rockwell logo respectively, both of which feature the Parra script logo on the left side. The Rockwell collection presents something quite different to anything else out there, although it might be a little too bright for me personally. View a few more pictures below, and pick up any of the pieces shown here now from Flatspot.